Lego continues to embrace its geeky side with the official unveiling of its first Minecraft set, which will go on sale this summer. The match made in blocky heaven came about almost by chance, after fans convinced Minecraft’s creators Mojang to submit a design to Lego’s newly-launched international version of Cuusoo, where fan-pitched ideas could actually be made if they were popular enough. Unsurprisingly, the Minecraft design received plenty of attention, gained the necessary votes and started down the road to reality. 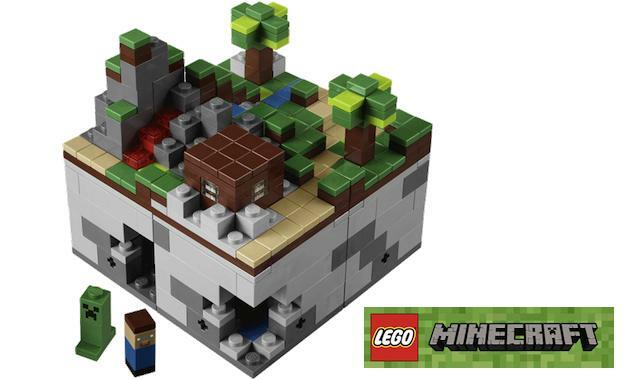 Now, perhaps earlier than many expected, we’ve got our first look at the Lego Minecraft Micro World set. Consisting of four small Minecraft world modules, totaling 480 Lego pieces, they can be assembled in almost any way you like and potentially expanded with other sets in the future. Under the surface of the modules are mines filled with hidden resources, and each set contains various pieces of wood, stone and dirt, a creeper and Steve. 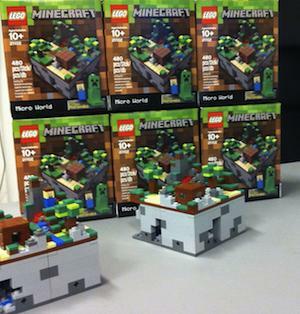 Mojang’s managing director tweeted a picture of the set just before the pre-order page went live, showing not only the bricks, but the packaging as well. Since then, Mojang has also released the video you see below, in which they demonstrate in a typically amusing way, their excitement concerning the project. You can head over to exclusive sellers Jinx.com and pre-order a Minecraft set for $34.99 right now, and it’s probably best that you do as although Lego themselves will sell them in the future, we can’t imagine this initial run will last long before it’s sold out. The coming year is shaping up to be an exciting one for geeky fans of Lego, regardless of whether Minecraft interests them or not. During the New York Toy Fair this month, Lego unveiled its forthcoming Marvel Super Heroes Avengers expansion and a new Lord of the Rings range, plus announced it had secured the Star Wars license for another ten years. New Lego sets being prepared for a summer 2012 release include Jabba’s Palace, a Gungan Submarine, the Mines of Moria and Helm’s Deep.